Over the past year, the Trinity Glen Rose District (TGR) has been working with a groundwater modeling consultant to take a look at how some projected new pumping from the Trinity Aquifer, exempt from TGR regulations, might impact the water source over time. The District was alerted about a year ago that a new water supply company was planning to possibly withdraw approximately 17,000 acre feet of water (5.5 billion gallons) each year to supply water to developments north of Bexar County. 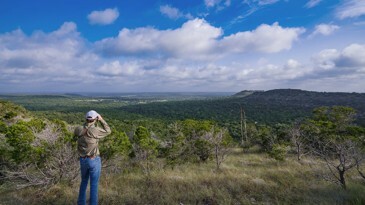 Over the last 14 years, the Trinity Glen Rose District has averaged pumping 19,500 acre feet per year. The long-term planning projection is for about 25,500 acre feet. Read more in the February 2019 Trinity Glen Rose Groundwater Conservation District Newsletter, here.